3DPrint.com owner, 3DR Holdings, has acquired an interest in SmarTech Markets Publishing; the Leading Industry Analysis Firm in the Additive Manufacturing Sector. SmarTech Publishing is the only firm providing granular market analysis for the 3D printing/additive manufacturing industry. Its offerings include market reports on a diverse range of topics from additive manufacturing materials to 3D printing software, bioprinting and the complete range of vertical markets for additive manufacturing. Now it has joined forces with 3DPrint.com. “We have long admired and even envied SmarTech’s quality work and pre-eminence in industry analysis for additive manufacturing and are thrilled to be working together with Lawrence Gasman and his team in developing the main hub for everything 3D Printing. By having two authoritative but independent voices: that of 3DPrint.com and SmartTech, working together we anticipate that many more people will become familiar with both of these excellent sources of information and analysis. Bringing these two media properties together covering additive manufacturing allows SmarTech broader channels to promote its reports on 3D printing markets. 3DPrint.com will now be the only news website in the 3D Printing space that offers news, analysis and access to comprehensive, industry research services. 3DPrint.com will remain editorially independent under current Editor-in-Chief Joris Peels. Simultaneously SmarTech will remain independent as an entity and adhere to confidentialities and hold in trust information obtained through its industry research. Lawrence Gasman, founder of SmarTech, will continue in his role as President and CEO of SmarTech after the 3DR investment. 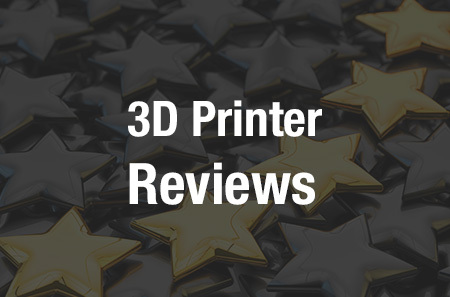 In addition to now having SmarTech’s research industry analysis offered on 3DPrint.com, 3DPrint.com also provides a range of online training courses and continues to publish eight original news articles per weekday. SmarTech and 3DPrint.com anticipate adding additional services in the coming months. Previously SmarTech and 3DPrint.com teamed up to offer the conference and exhibition called Additive Manufacturing Strategies. This conference and exhibition is focused on 3D printing for medical and dental applications. The first event was held in Washington, DC in January 2018 and the next iteration takes place in Boston this coming January at the Hynes Convention Center. The trade show and exhibition has over 40 speakers and is a new kind of more intimate learning and peer-learning focused show that will expand to cutting-edge Additive Manufacturing verticals. A startup competition will also be part of the event.